Join us October 24th for our upcoming professional development event focused on Conquering Evaluation Challenges! Participants will engage in structured small group discussions where they will present an evaluation challenge they faced in a professional or volunteer setting. This is an opportunity to gather feedback from peers on strategies and resources to address the challenge(s). All participants will have an opportunity to present a challenge and offer feedback to other participants. The event will conclude with informal networking so our members can continue their conversations or start new ones! Directions: Take CTA to Quincy or Jackson. If arriving by car, the AIDS Foundation of Chicago recommends parking with SpotHero address 326 S Wells (Traders Parking). 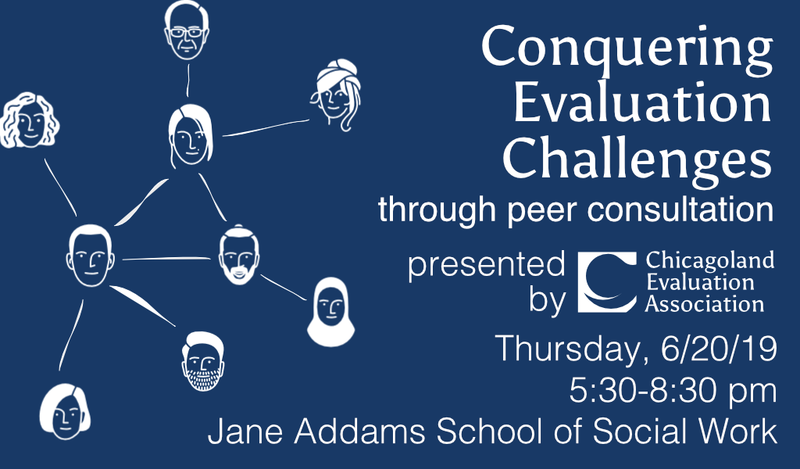 Come prepared to talk about a current or past evaluation challenge. There is no need for materials but they are welcome if they will facilitate discussion!